Good morning, afternoon, or evening, and welcome to another post dedicated to the methods best used to get the result of maximum muscle mass. In last weeks thoroughly popular post, Training Frequency For Maximum Muscle Mass, I looked at the various methods of weight training frequency that bodybuilders have used throughout the ages – relatively speaking – to enhance the size of their muscles. It was an interesting study into the history of bodybuilding, and was a fun article to write. I expect the same to be true today, with the long debated subject of reps and their relation to mass training. Is there such a thing as the ideal number of reps to stimulate muscle growth? Let’s have a look and see what we can learn. Sound good? In order to go any further in our quest for an answer, we have to answer the question of what is it that causes a muscle to grow? This is not going to come as much of a surprise, but high levels of tension within the muscles seems to be a key factor in initiating muscle growth. Somewhat less obvious is the element of fatigue. This seems to turn on the growth progress, due to the fact that as the muscle fibers are tiring, they are becoming susceptible to injury, and decide that it’s time to start the various chemical and biological processes in motion that will ensure the muscle grows stronger and thicker for the next time this might occur. In order to keep this process moving forward, you must continue to add to the tension within the muscle. In order to do that to a muscle that has compensated itself by becoming bigger and stronger, the amount of weight used will have to constantly to increase. Plain and simple, in order to grow bigger you will have to grow stronger. It doesn’t matter if you are taking steroids or not, the simple truth is the biggest bodybuilders are also the strongest. I don’t know if you have watched many of the strongman competitions, but Mariusz Pudzianowski won five in a row, making him the world’s strongest man for half a decade. If you haven’t ever seen him before, I can tell you that I have never seen anyone embody strength and mass is the same way as he does. He IS the definition of the word beast, as such he is living proof that strength does beget size. Now that we have a pretty good idea of how muscle grows, it is time to take a look at what methods the body uses to increase force output, which is a way of trying to define strength production. The two methods our body uses in order to generate more force so that we can move larger weights are by recruiting muscle fibers, and rate coding. 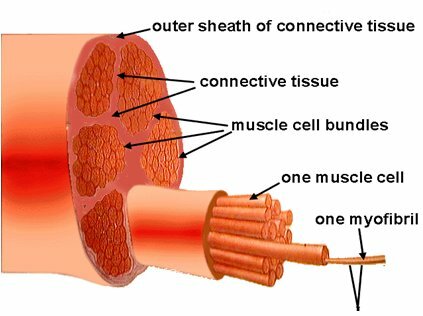 Muscle fibre recruitment is just what it sounds like. Our body engages as many fibers as is necessary to generate enough force to move the weight. The better trained our muscles are, the faster our body’s ability to recruit more fibers. Based on the subject matter you find here, I expect that most of you are probably in the well trained category, or at least well into the beginner phase, so recruitment is likely already very efficient for most of us. If you are a raw beginner, repeatedly training your muscles to their capacity will quicken the rate at which you will be able to maximally recruit your muscle fibers. It doesn’t take long actually, it just takes the desire to lift to failure. By doing so, the body will call on all available sources of strength to get the job done. Rate coding is a little different. This refers to how fast our body is sending electrical signals to the working muscles. As the rate code rises, the muscles ability to contract with force becomes greater. This stronger contraction will definitely generate the force necessary to move the weight once maximal muscle fiber force has been generated, but the extra force doesn’t necessarily stimulate more growth. 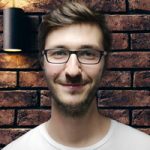 It means that after we have completely taxed our muscle fibers, that rate coding will give us a small boost beyond what our muscles alone are capable of doing. Using nice, round numbers, our body will use fiber recruitment to generate force in the neighbourhood of 80 – 85 percent of our maximum ability. Once our body hits that threshold, it uses rate coding to further generate force. So it is generating muscle fiber recruitment to its maximal capacity that we are most interested in to further the growth of our muscles, and then working the muscles for a maximum amount of reps while all of those fibers are engaged. Already we have arrived at the answer to our question of how many reps are ideal to achieve maximum muscle mass. Allow me to explain further. If we extrapolate from those numbers, this means that if we lift our one rep maximum 85 percent of our force will come from our muscle fibers, and the remaining 15 percent will be made up from rate coding. If we want to just engage the maximum amount of muscle fibers without involving rate coding, we would then lift 85 percent of our one rep maximum. 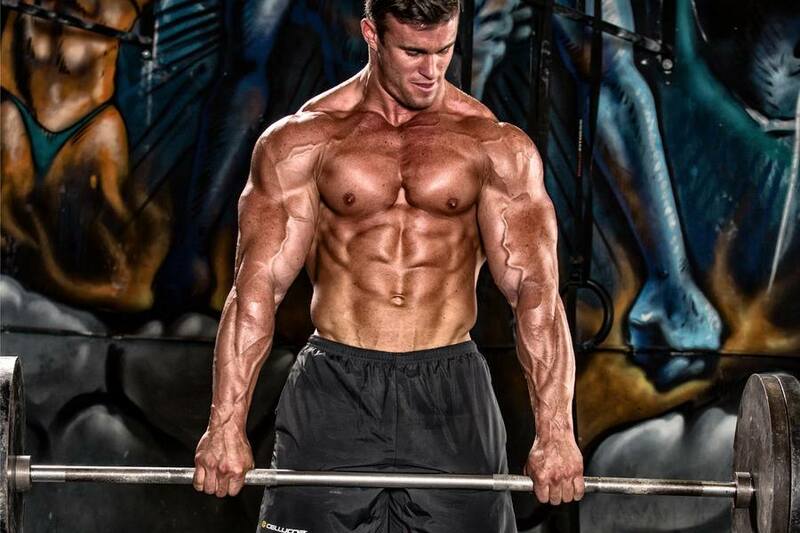 The number of reps that most people can lift 85 percent of their one rep max is somewhere between five to eight reps. This is both the ideal weight load and rep range to maximally stimulate muscle growth, from a simple numbers standpoint. It also is a logical and rational theory as well. By lifting a weight that is already as heavy and close to our maximum, immediately we will start the work set by recruiting nearly all of the available muscle fibers. This will put the largest number if muscle fibers under tension for the longest period of time. By doing so the fatigue factor comes into play, which I mentioned earlier acts as a signal to the body that the muscles had best get stronger to avoid getting so tired. If we were to use a heavier weight, the muscles would not be under tension long enough to get fatigued. If we were to use a lighter weight, the muscles would indeed get fatigued, but it would take much longer to work up to maximum fiber recruitment. This would not be ideal however because the type 1 muscle fibers that will experience the most growth won’t be called into play until near the end of the set when reaching failure. This means that they won’t be under tension for very long. The idea is to get all of the muscle fibers under tension for the longest amount of time in order to stimulate growth. Two or three reps isn’t long enough, and ten to twelve reps is too long. The ideal rep range is therefore somewhere between five to eight reps, provided you are going to muscle failure. If you are capable of doing a few more, then the weight is to light. The amount of weight that needs to be used must be so that eight reps is the most you can possibly do without any assistance. This is of course dealing strictly with the issue of muscle growth. Other rep ranges have their benefits as well. Working in the three to five range seems to work very well for strength gains. By way of contrast, working in the eight to twelve range works great for getting lean, provided the volume of work sets if high enough. There is of course the option of doing all three within each exercise, but that detail is up to you and your specific goals. Those of you that have read my Lose and Cruise method regarding fat loss, probably won’t be surprised to hear I take a similar approach to muscle gain as well. It’s not exactly the same mind you so perhaps I need to expand on my own theories regarding mass gain further at some point. That is another post for another day.